Nicole Baldwin will face opposition for the territory’s Scotties berth, after all. Twenty-year-old Jenna Duncan will lead a makeshift rink into the Yukon women’s championship, which will take place Jan. 16 and 17 at the Whitehorse Curling Club. Duncan, a longtime lead for Sarah Koltun’s rink, will take on skip duties alongside Patty Wallingham (third), Aline Goncalves (second) and Jody Smallwood (lead). Gord Zealand will guide the team as coach. 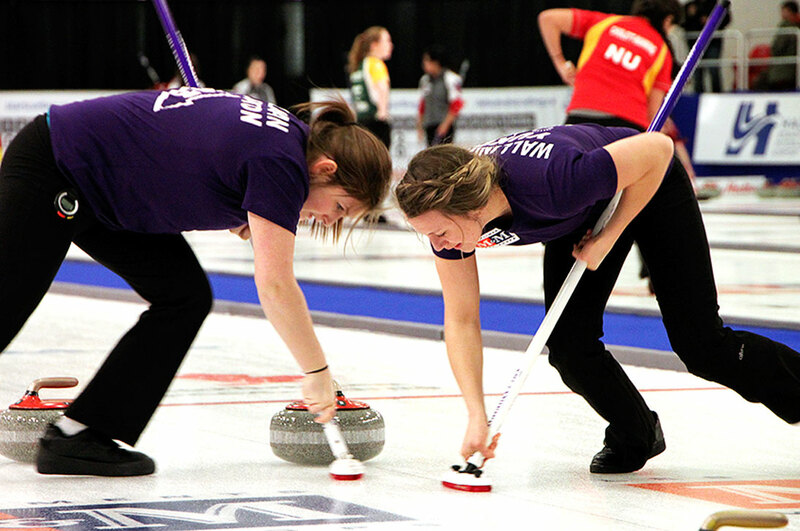 Duncan and Wallingham have spent the last few years curling alongside Koltun and Chelsea Duncan – Jenna Duncan’s older sister. With Koltun and Chelsea Duncan doubling down on their university studies this year, the team’s front-end decided to go it alone. Koltun has represented the territory at the Scotties the past two years. “Me and Patty still wanted to curl this year, and Jody and Ali hopped on board,” Jenna Duncan said from Vancouver last night. Duncan is currently studying at Simon Fraser University. While she isn’t curling regularly, she has logged her share of hours practising. Goncalves represented Brazil at the World Mixed Doubles Curling Championship in 2014, while Smallwood has plenty of national experience. Initially expected to go uncontested, Baldwin’s rink includes British Columbia curler Stephanie Jackson-Baier (third), Rhonda Horte (second), Ladene Shaw (lead) and Sandra Mikkelsen (fifth). The 2016 Scotties will take place Feb. 20 to 28 in Grand Prairie, Alta. Yukon’s entry will square off with B.C., Northwest Territories and Nunavut in a preliminary round robin for the final spot in the main draw. Yukon’s Scotties and Brier playdown entry deadline was Dec. 22, 2015. Six teams will do battle for Yukon’s Brier entry in Whitehorse, Jan. 15 to 17. Defending Brier skip Bob Smallwood – Jody Smallwood’s husband – will be challenged by rivals Matthew Blandford, Pat Paslawski, Herb Balsam, Walter Wallingham and Dustin Mikkelsen. Blandford, a resident of Cold Lake, Alta., will take the reins of Wade Scoffin’s rink as a free agent addition for the local Brier playdowns. The 30-year-old is a three-time Newfoundland and Labrador junior champion. “It’s a good opportunity for everybody I think,” Blandford told the Star in a recent interview, noting he wasn’t intending on curling heavily this season in order to spend more time with his young family. “Normally in the winter, I used all my vacation to curl,” he said. Blandford initially met Scoffin in 2009 when they squared off at mixed nationals in Burlington, Ont. For the record, Blandford won his matchup over Scoffin, 7-6 in 11 ends. Blandford’s name came up at mixed nationals last year, in a conversation between Scoffin and Mick Lizmore – who skipped Alberta to gold. “Mick threw my name out there because he knew our team had disbanded on that point,” said Blandford. The group has been swapping video to help become better acquainted with each other. The 2016 Tim Hortons Brier will take place in Ottawa, March 5 to 13. Yukon will battle N.W.T., Nova Scotia and Nunavut in a preliminary round robin for the final position in the main event. NOTE: The Whitehorse Curling Club was one of four to take home $1,000 from the Travelers Curling Club Championship, thanks to its teams’ participation in fundraising for the Curling Canada Rocks and Rings program.